SP80 and SP80H Scanning Probes, - CMM Inc. The SP80 and SP80H offer first-class scanning performance and maximum productivity. Both of these quill-mounted scanning probes use the same design concepts; they are a passive scanning probe that use 20 nm resolution digital scale and readheads. The SP80 and SP80H offer the most flexible use of long styli. The SP80 mounts to standard vertical quills and can carry styli up to 800 mm long and 500 g mass, including star configurations. Kinematic stylus changing with the SH80 also allows for repeatable re-location of the stylus (this optimises stylus arrangements for each feature and overcomes the need for re-qualification). Meanwhile, the SP80H mounts to a horizontal quill and can carry styli up to 500 mm long and 300 g mass, including star configurations. 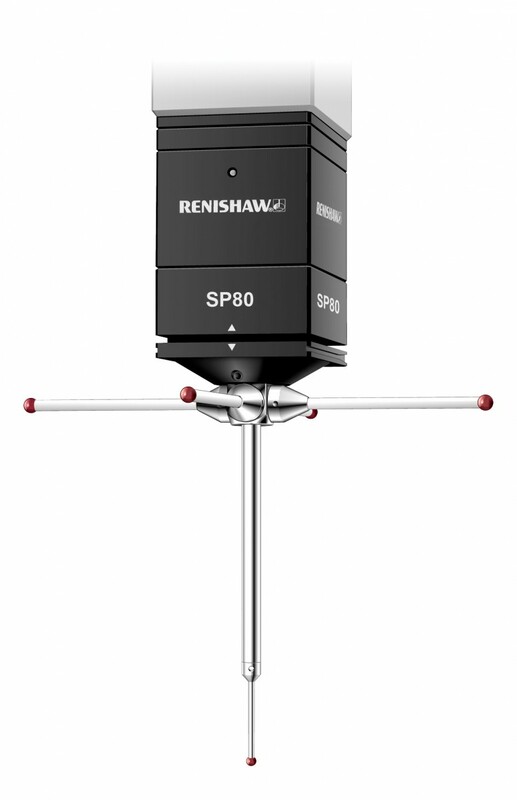 To complement the SP80 and SP80H, a stylus holder with a kinematic location ball (SH80K) is available. This will allow the user to power off the SP80 and SP80H probes and turn them back on without needing to re-home the probe. Please note: it is possible to use the SH80K with earlier versions of SP80 (as the kinematic screw can be retrofitted to the probe body).